Roberts PolyPro offers a wide variety of bottle handles, bottle multipacks, and beverage carriers. 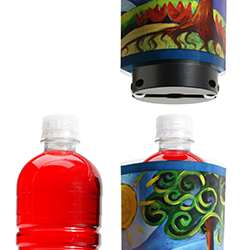 Our custom bottle handles can fit your needs, no matter if you have a single bottle handle or multipack products. The most common beverage carriers that we offer include the single bottle handles, 2 pack bottle handles, 3 pack bottle handles, 4 pack bottle handles, 6 pack bottle handles, 8 pack bottle handles, and any of your custom bottle handle needs. For any of your custom multipack handles, bottle carriers, beverage handles, and multipack carrier solutions, trust the bottle carrier industry experts at Roberts PolyPro. 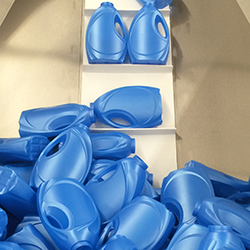 Our 100% recyclable HDPE injection molded bottle handles in a variety of configurations. 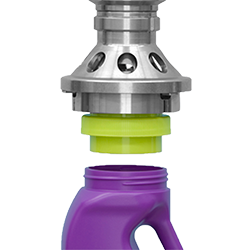 Roberts PolyPro offers a single bottle handle / beverage carrier to aid in carrying and pouring. Perfect solution for packaging two bottles together as one. 3 pack bottle handles / beverage carriers that are offered by Roberts PolyPro. 4 pack bottle handles / beverage carriers for any of your plastic bottle carriers. 6 pack bottle handles / beverage carriers for any of your bottle handling needs. 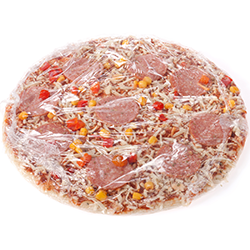 8 pack bottle handles / beverage carriers are an ideal solution for all of your packaging needs.